I have been doing a lot of thinking lately. It seems like this is a great time for it, doesn’t it? The end of the school year leaves lots, well, maybe some time for reflection. Personally, I would like to make sure the products I am creating best meet your needs (and your needs, and yours, and yours, and you, too!) and those of your students. But to do that I need help. So, I have decided to ask for some :). I have decided to hand-pick a small group of teachers to be my field testers and opinion-ers. I know that is not a real word, but it gets my point across! I need some people that aren’t afraid to be honest and hurt my feelings :). I am actually made of pretty tough stuff, I promise. I would like to create a closed group of teachers to preview products, suggest products, suggest improvements and revisions, answer specific questions about current teaching strategies and assessments. Basically be my guinea pigs to make sure my stuff is, well, up to snuff! a strong grasp of Common Core Standards OR your state standards. I know many states don’t follow the CCS…. SUMMER access to several common assessments or benchmarks used by the school/ district (or really any assessments so I can analyze HOW the questions are designed)- I will not be “stealing ” any questions I promise. Sometimes it is nice to hear or see examples to make sure I am on the right track, though. be available for immediate feedback or answer questions in a closed FB group. You will be expected to respond within 1 day (unless you let me know you will be out of town or there is an emergency). So, basically I am asking a pretty good bit of you. There will be some days (or even several days) where I will ask for you opinion/ input several times. However, there will be others where I don’t ask at all. 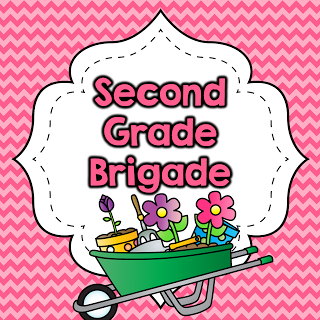 I know that is asking a lot, but what will the closed group (or “Second Grade Brigade” as I am calling them!) get? Participating teachers will receive all field tested products discussed FREE, as well as a $30 credit in my TPT store. Since your time is valuable and short during the school year, I will really only need to group for June 1st to Aug 1st (unless we decide as a group to continue it- you will have the opportunity to opt out). I am going to be kinda a hussy about all this: if you agree to all this I will expect for you to stick to it. If you are not available frequently as agreed, you will be removed from the group and will not receive free products or the $30 store credit. Are you interested? If so, just complete this form. I will close the form on May 17th and announce the group shortly after. We will not start until June 1st! Thank you so much! I hope you guys know how much I truly value your input and feedback!!! Where is the form and sign me up! Filled out the form. Hope I can be part of it! I am very interested and know the CCSS very well. I can't find the link either. Here you go, Tina!!!! Thank you for asking! Mandy, I would love to do this for you, and I would love the free materials as well as $ 30 worth of free materials. But, my business has slowed down so much and I wouldn't have the students to do this. I wish I could. If there is ever anything I can do to help, you know you can always count on me.